How Do an All in One Aquarium Work? Is an All in One Saltwater Aquarium right for you? Saltwater aquariums are quite fascinating, as you actually will have a little piece of the ocean right in your own home or office. It has never been easier to set up and maintain a saltwater aquarium or a reef tank in your home or office than nowadays with easy access to one of the all in one saltwater aquarium kit. They sometimes come with the tank, the stand, and all necessary accessories to get it up and running. You will find that there are a variety of all in one aquarium choices, from the saltwater aquarium kit for beginners to the more complex reef aquarium. Some are fully equipped and ready for a quick and easy set-up, and others offer the tank and stand with some other selected accessories, but require you to decide on the other items needed for start-up. We’ll take a look at the best five all in one saltwater aquariums kit of various sizes that are on the market today so that you can make an informed decision and purchase the one that best suits your needs. This is a great starter all in one saltwater aquarium kit. It is a good size and also comes with its own stand. The cabinet has doors where you can store your aquarium accessories. It comes all included and ready to go after initial installation process that is said to be a little less easy than others in its category. The 50 gallon Starfire Aquariums comes with a protein skimmer, a return pump, tubing, but no lighting. You will have to purchase separate lighting for this tank. This stylish and small desktop or countertop all in one saltwater aquarium kit is perfect for a small space. It looks great on a desktop at the office, on your kitchen countertop, or on a display desk in your home. The powerful 3 stage filtration system is well hidden in a compartment in the back of the tank. The LED lighting is strong and provides more than adequate lighting for reef growth. It is all ready to unpack, set up, and get running. The kit does not include a protein skimmer nor does it include a heater. These may be accessories that you may want to add later. The Coralife Fish Tank LED BioCube Starter kits come in two different sizes, 16 or 32. It is recommended to choose the biggest size if this is possible for you in your available space. It has a nice design and comes with most accessories, except the stand. The stand is available separately for purchase, or you may choose to set it up on something else in your home or office making sure that it can support the weight. The integrated LED lighting has a timer and three settings, bright white, sparkling blue and color enhancing. It also has an automatic 30 minute sunrise and sunset simulation for natural day cycling, and 60 minute moonrise and moonset simulations. The Innovative Marine Nuvo Fusion, 10 gallon is a small starter kit that has a sleek design. The tank is made of good quality glass and has a nice square shape. This tank looks good on any countertop or office desk. Remember that the smaller tank size will require more water observation and maintenance from you. The included LED light has no on/off switch. You may want to add a programmable switch. This small aquarium doesn’t come with a stand nor a protein skimmer. These things may be purchased separately. It is, however, ready to set up and go. The Red Sea Nano Kit Reefer is a series of all in one aquarium kits that come all ready to be set up and start running. They come with high-quality accessories and everything you need to start. These glass aquariums come with a contemporary design stand that has cabinets to store your aquarium accessories. The most expensive in our choice but also the most complete. The trade off is what you pay for it compared to what to pay for another all in one aquarium kits adding up the parts you will have to include. We all have different needs, different lifestyles, and different homes. So naturally, there isn’t one single formula that works for everyone. When starting up a new aquarium, a beginner will have the instinct to purchase something small thinking that it will be less work and easier to be placed in your home or office. It also comes down to price, and purchasing a smaller kit will put you out much less shall you give up and not pursue your new hobby. This, unfortunately, happens a lot in the world of aquarists. 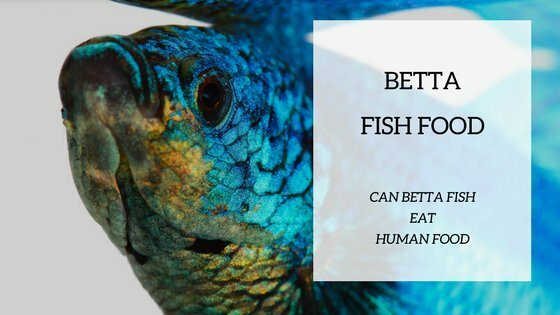 Making a well-researched decision will always be a positive thing that will definitely help you to succeed in your new fish keeping activity. Contrary to what you may think, a larger aquarium will be much easier to care for and especially maintain than a small one. The smaller tanks tend to develop water quality problems easier than the larger ones. The water will have more frequent fluctuations in levels, requiring more work from you. If you have the space in your home and office, try to purchase the biggest volume size that you possibly can. If you want to have a nano aquarium, then make sure that you are aware that it will not be less work to maintain because of its size. The minimum size we would recommend beginner to go for the fish tank is 20 gallons. You will, of course, set a budget for your investment and try to stick to it. Purchasing an all in one aquarium is usually more cost effective than buying the items separately. Look for promotions online or in your local fish store. This is not always the case though. Some all in one saltwater aquarium kit provide top quality items in their kits, thus making them quite expensive. As the name suggests, you get everything you need to start your saltwater or reef aquarium in a box. Speak with your salesperson where you are purchasing the all in one aquarium kit so that you go over any questions that you may have regarding the items inside the box before heading home with it. Make sure to know what everything does and what everything is used for in your new tank. You will want to be equipped with the basic aquarium keeping knowledge to at least have the essential understanding of what it takes to set up, run, and maintain a saltwater tank in your home or office. For a better understanding of each piece of equipment, you can visit our Aquarium Equipment section clicking here. You come home and unpack the items, read and follow the instructions, and set it up. It’s that easy! Cycling your water is always fundamental, so patience will be needed before adding the fish to your new tank. Check out our detailed guide on how to start a saltwater aquarium to know all you need to safely cycle your new aquarium kit. Take the time to research fish species, corals, and compatibilities. Make sure to be well informed about your new friends, their needs, and their new habitat that you will be providing for them. 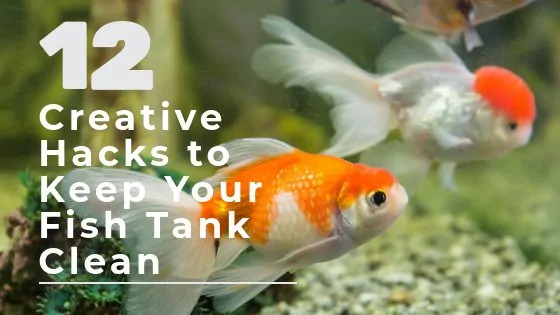 Try to create a varied and interesting environment without ever overcrowding your tank. Some fish can absolutely not live with other species and you don’t want to commit this grave error. You can do some research and also speak with your specialist at the fish store. You can even visualize some of their set-up tanks and try to emulate what you see. The sky is the limit when stocking your new aquarium! This is definitely the fun part. These all in one saltwater aquarium kits are usually very easy to set up and are perfect for beginners. Follow the instructions that are provided with each kit and this should minimize the beginners’ mistakes that many new aquarists make. One of the easiest and common mistakes to make when purchasing a new aquarium and separate accessories is choosing the wrong types of accessories for the tank size. You get home and things don’t fit together. 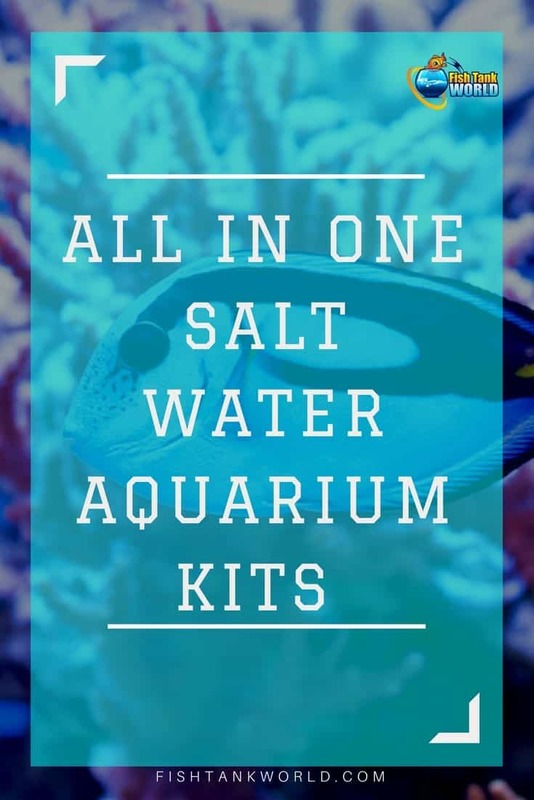 These all in one saltwater beginner kits provide the peace of mind that all the pieces go together and will work to keep your water clean and your fish happy in the long run. All in one aquarium kits also offer the option for some nice look. Check out this article about rimless aquarium to know what option are also available for all in one rimless tanks. You don’t have to spend hours researching the separate items and accessories that you will need to start up your saltwater tank such as filters and lighting. Someone has done the work for you and put together a kit that works perfectly and has everything you need to get started with your new hobby. The price of the all in one saltwater aquarium kit will usually be cheaper than if you purchased the items separately. So if you have a tight budget, this may be a perfect option for you. You can always purchase other accessories or change the ones that were in the kit later when you have more money available. There are some accessories that rarely come with an all in one aquarium such as heaters, UV sterilizers , RODI systems or feeders or you may want to add some live rocks moving on. So always consider some additional budget as your aquarium develops. You may not get the items and accessories that you like or would want to purchase. The kits are pre-decided and everything is fixed so you don’t have to spend hours researching, but at the same time you may have a specific type of filter in mind or fancy add a protein skimmer and the kit comes with a different one. Also, your kit may be limited to the expansion options for your future plans when you gain experience in the aquarist world. The quality of the items in the kit will sometimes be lesser than other items that are sold separately. This doesn’t mean that they are not good quality at all, but simply that the kits usually don’t have the top of the line, expensive, accessories. You can always ask if you can eventually change some of these accessories to better quality ones. Sometimes the kit will provide that option and other times not. Make sure to ask before you buy if you foresee yourself wanting to upgrade the initialy purchased kit. Check out our aquarium equipment page to have an overview of the various types of equipment you may need to run an aquarium. A little previous research is useful because you will be armed with some basic knowledge about what is in the box and what everything is for. We think that basic aquarium keeping knowledge is essential even when purchasing these kits. An all in one aquarium does not mean that you set it up and forget it. It needs regular maintenance and cleaning. Knowing how things work is always a bonus for you and an absolute plus factor on your success rate. 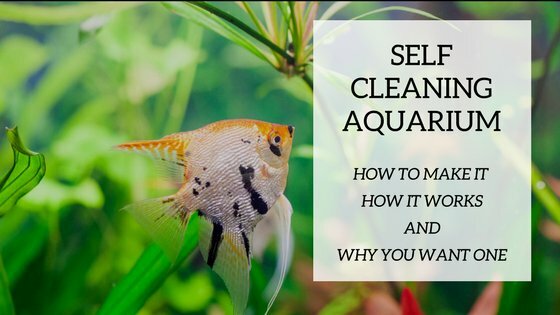 Read our guide to clean the aquarium if you are not sure of how to maintain your fish tank over the time, as an all in one aquarium requires no more and no less maintenance than every other kind of aquarium. Also if possible, ask if they have the kit that you are interested in purchasing already set up in the store. That will give you a good idea as to what it will look like in your home or office. You will see some advertised kits that only come with the aquarium and the stand. You will have to purchase the accessories separately. If you have a particular décor and want to choose the furniture that will sit in your home or office, then this is not a good option for you. You may not like the stand and want to change it. Some other kits are complete with tank, filter, filter media, water heater, lighting, filter pumps, protein skimmers, decorations, and sometimes even a basic beginner food supply. Sometimes these come with the stand, some others don’t. All in one saltwater aquarium kits vary, so make sure to ask about what is in the box and understand what you are purchasing. Maybe you will have to purchase a few extra supplies before leaving the store with your new kit, or maybe it will be completely ready to go. Don’t forget to ask before heading out. You want to make sure to come home and have everything necessary to start. So you want to start a saltwater aquarium and want to make your life easy? For sure purchasing an all in one starter kit helps to remove some anxiety about aquarium startups and also helps in the installation and initial starting of the aquarium. Make sure to learn the basics before starting any aquarium so that you are equipped with essential information about your new hobby. With the basic information you can acquire a ready-made kit for beginners that will ease your mind and won’t leave you with any unpleasant surprises. 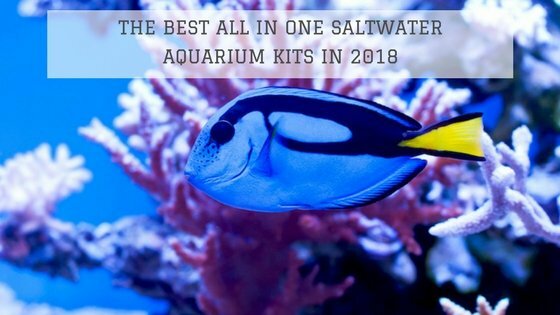 All the all in one saltwater kits that we reviewed in this article are good quality and would be an excellent choice. Our top pick is the Starfire Aquarium 50 Gallon because it comes with everything you need to get started, except the lighting. Being that some of the LED choices in some of the all in one kits sometimes don’t have on/off switches or timers, you may want to invest in a good quality lighting to add to your new tank and create your perfect environment to your liking. Another good thing to mention is that this is also a very good volume tank for a beginner. All in one saltwater aquarium kits are a good way to go to minimize errors and to maximize your success rate. Saltwater and reef aquariums are great to have in any room and will always be a topic of conversation with your visitors.